My most recent Cinema de Gym posts for Nathaniel Rogers's The Film Experience both covered films I'd never seen before. The first: The Paul Rudd/Seann William Scott/Jane Lynch comedy "Role Models." The second: The Will Ferrell/Brad Pitt/Not-Quite-"Despicable Me" animated flick "Megamind." Please read on! For "Role Models," CLICK HERE. 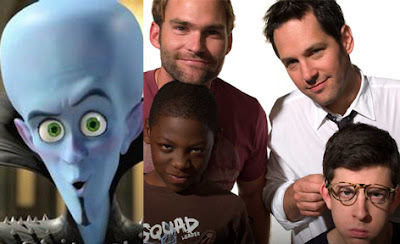 For "Megamind," CLICK HERE.